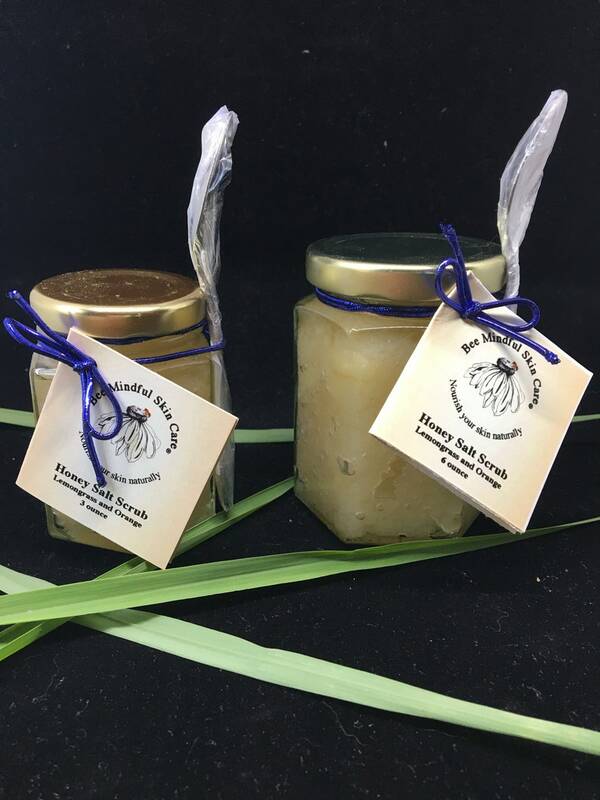 Here is our newest honey salt scrub! It is Lemongrass Orange! 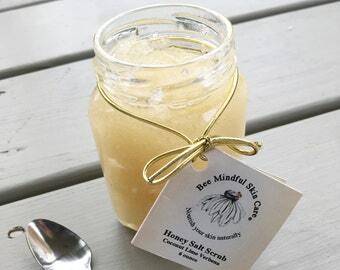 Our customers asked for this so we made it to add to our other great salt scrub choices. 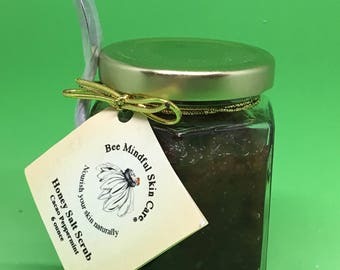 We made it the same way as all our other scrubs, with Madagascar vanilla bean infused sweet almond oil, Mediterranean Sea Salt, Honey, Orange Essential Oil, and Lemongrass Essential Oil. 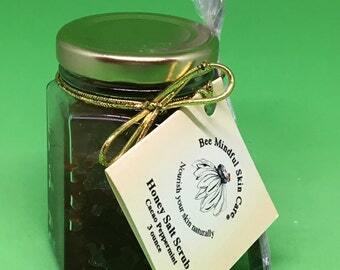 It is packaged in a lovely 3 oz hexagonal glass jar with a gold twist on cap. We attached a very nice small stainless steel spoon for scooping.